* Colombia is located in South America and is bordered by Panama, Venezuela, Brazil, Peru, and Ecuador. *The official language of Colombia is Spanish. *Bogotá (pronunciation here) is the capital of Colombia and is located approximately in the center of the country. *Colombia is divided into five geographical regions: Caribbean, Pacific, Andean, Orinoco, and Amazon. *The current president of Colombia is Juan Manuel Santos. He was inaugurated on 7 August 2010. *The population of Colombia is approximately 46 million, with about 8 million located in the capital. *The four largest cities in Colombia are Bogotá, Medellin, Cali, and Barranquilla. *The climate in Colombia differs among the various regions, ranging from hot and humid to dry and cold. *Colombia is a predominantly Christian/Catholic country. 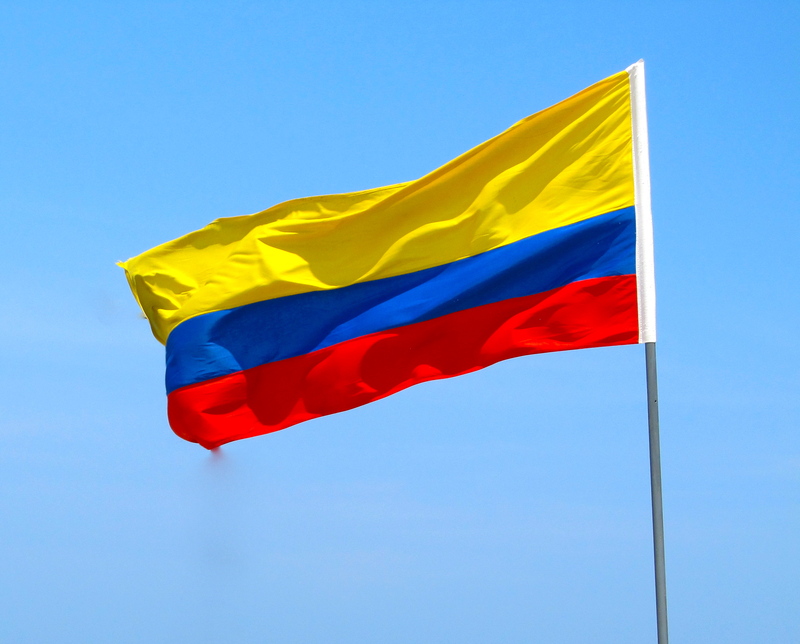 *Colombia gained their independence from the Spanish on 20 July 1810, which they continue to celebrate as their Independence Day.